SECURITY STAFF at Southampton General Hospital, who are being attacked in the A&E department, will go ahead with a second day of strike action on Good Friday 19 April. THE NPCC National Cyber Crime Programme has announced that every police force in England and Wales now has a dedicated Cyber Crime Unit in place thanks to a multi-million-pound investment from the Government. LIVE COVERAGE of The Fire Safety Event and The Security Event from NEC BIrmingham on 9-11 April 2019 including reports, videos, pictures and social media posts. NEW STATISTICS from the Department for Digital, Culture, Media and Sport (DCMS) have shown a reduction in the percentage of businesses suffering a cyber breach or attack in the last year. RECOGNISING THE increasingly vital role played by professionals working in the sector, the second ICO Practitioner Award for Excellence in Data Protection was presented to Mikko Niva, Group Policy Officer at Vodafone Group Services Ltd based in London. ​A SOUTH Wales man has been ordered to pay £300,000 at Cardiff Crown Court for continuing to work as a security director despite having lost his Security Industry Authority (SIA) licence. TWO CHESHIRE based unlicensed security operatives have pleaded guilty at Crewe Magistrates' Court. The Security Event is a major new exhibition created for the commercial and residential security market. 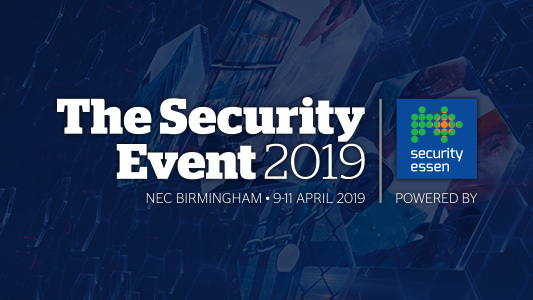 Taking place from 9th – 11th April 2019 at The NEC Birmingham, this free-to-attend event brings together a world-class education programme, market leaders and industry experts back at the home of UK security. Spearheaded by ten of the industry’s major players, the exhibition will host around 100 of the world’s leading security brands. The Security Event will attract thousands of attendees over three days with key features including a tailored content programme and networking opportunities out of show hours.